Youtube is the second largest search engine. A lot of people are doing SEO for Google – which usually ends up with Bing and Yahoo rankings following suit. What we fail to see is that Youtube SEO can gain you far more search traffic than Yahoo and Bing does. So if you’re not doing Youtube SEO, you’re missing out. How hard can that be? The average Nokia phone today has video capability. Or buy a webcam – it doesn’t cost that much. Plus, almost all laptops have one. Video content creation has never been this easy. 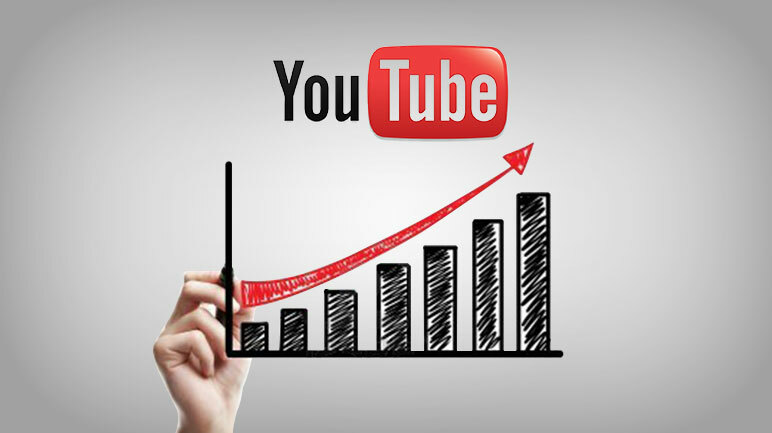 Why should you start bothering to create videos to penetrate the Youtube search market? There are two categories in Youtube ranking factors. There’s your Video Content and then there’s your User Engagement. These two things make up pretty much most of your Youtube SEO. You see, Youtube’s search engine does not work like how Google does. Youtube’s search engine cannot directly tell if your keywords are inside the video. It cannot directly tell if your video is relevant to the tags you put in. So what exactly does it use to know which videos rank first? Sorry, you’re never going to get the top ranking on YouTube for “Chocolate Rain” or “Gangnam Style.” The keywords you pick and ultimately use in the title of your video and description will help determine how much organic search you receive. SEO experts believe that search engines place a low value on the file title when ranking and categorizing content. If you’re blogging, using an image that’s titled “Marketing in Nashville” instead of “ID-10010101” will probably have some influence on your ultimate ranking. Some YouTube experts believe that the video file name also affects how the network picks related videos. Titling your file “LandingPages101” can ensure your prospects see high-quality related videos as opposed to content that’s trending. Remember the early days of SEO, when you’d find search results that were painfully obvious in their attempt to use a long tail keyword? Fortunately, Google and YouTube hate content called “10 Tips to Earned Money in House” as much as you do. As search engines become much more adept at searching context, the need to use a keyword exactly in a content title has diminished. If you need to modify the word order of your long tail keyword in the title slightly, it probably won’t hurt. Use your YouTube video description field to its full advantage, filling it with keywords and links to relevant content on your organization’s YouTube channel or company website. Amanda Dhalla of Video Commerce recommends adding links in the description to high-value points and sections of the video if it’s more than a minute or two long. Many YouTube SEO experts question whether tags have much value to how video content is ranked and indexed by other major search engines, such as Google and Bing. There’s certainly no harm in fully optimizing this section. Be sure and add common variations of your long tail keyword: if you’re writing about lead conversion, use “lead capture,” “landing pages,” and so on. YouTube users have the option of uploading a video transcription file with their video. It’s not mandatory, and if you don’t generate your own text transcription YouTube will do the work for you. However, experts caution that their automatic transcription is notoriously ineffective and results in a whole bunch of gibberish, which simply doesn’t capture your keywords in a way that’s relevant to the way your prospects search. Transcribing your videos is time-consuming and difficult, but it can make a significant difference in how your content is ranked. Even better, since your transcription will translate much better into closed captioning than YouTube’s, it improves the chances that your content will be watched and enjoyed by an international audience. 70% of YouTube views originate outside the US! If you’re curious about transcribing, we recommend Rick Eberhart of Create Better Content’s tutorial. Getting lots of views as soon as your video is uploaded can help drive your content to the top of the first page, as it helps the YouTube algorithm believe your video is filled with high-value information. Actively encourage comments on your video while you promote through social media channels. YouTube algorithm experts believe that an active community within your video can have a positive effect on your ranking. If your video receives quite a few dislikes, you could find that your ranking drops significantly and your content is designated as Spam. Encourage your social media followers to leave positive feedback. While you can’t control whether your video gets into the hands of trolls, you can ensure your title, description and tags are an accurate reflection of your video content to ensure you don’t leave any viewers disappointed. Videos which earn inbound links from other websites through being embedded in a blog can improve ranking significantly. Offer your video content with original text analysis to other bloggers as a guest post to generate more views and shares. Previous articleGoogle launches Flight Search in India, will it hurt OTAs?